Flowers and chocolates are SO last year. In 2019, the way to your valentine's heart is through their favorite foods. 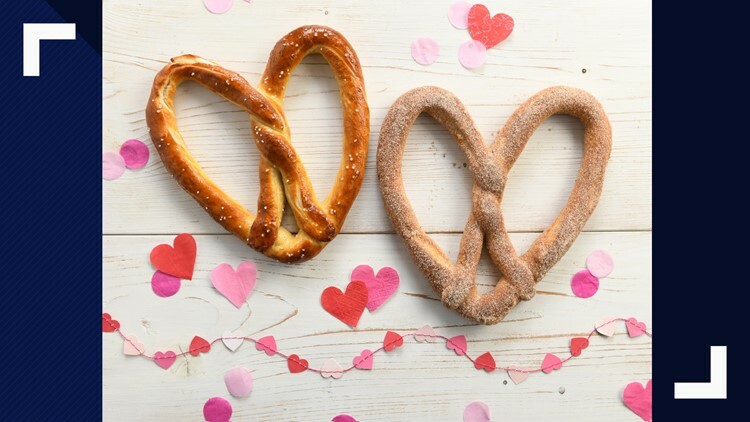 Chick-fil-a and Olive Garden have their own Valentine's Day offerings, but you can also give your heart away with a soft pretzel from Auntie Anne's. Auntie Anne's Heart-Shaped Pretzels will be available in Original and Cinnamon Sugar flavors at participating locations only on February 14. The chain is also offering a Buy One, Get One promotion redeemable on Valentine's Day. Fans can visit auntieannes.com/heart-shaped-pretzels to get the offer from February 11 through February 14. It will also be emailed to all Pretzel Perks loyalty members on February 14.